Kanye West has had a history of strange behavior. 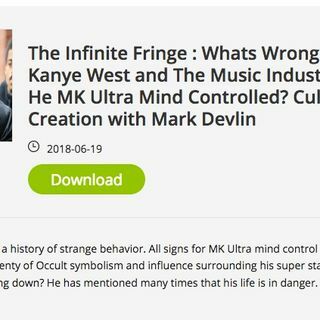 All signs for MK Ultra mind control seem to check off with him. There is plenty of Occult symbolism and influence surrounding his super star run. Is his "Programming" breaking down? He has mentioned many ... See More times that his life is in danger. Is this the case? If so , why?